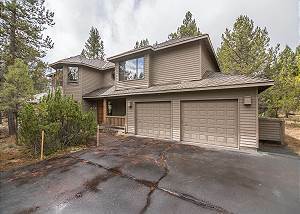 Looking for a fun vacation rental for your upcoming Sunriver stay? If so, this 2,400-square-foot home fits the bill. The residence's awesome amenities include a ping-pong table, hot tub, eight bikes, and three televisions.